Nedbank Group is a holding company listed on the Johannesburg Stock Exchange (JSE) Limited with a market capitalisation of R125 billion at 30 June 2018. Nedbank Group is one of Africa’s largest banking groups. Its principal banking subsidiary is Nedbank Limited. Nedbank Group owns subsidiaries and banks in Namibia, Swaziland, Malawi, Mozambique, Lesotho and Zimbabwe, and offshore on the Isle of Man, and in Guernsey and Jersey. It also has representative offices in Angola and Kenya and has key global financial centres to provide international banking services for South African-based multinational and high-net-worth clients in London, Toronto and Dubai. It is a diversified financial services provider, offering a wide range of wholesale and retail banking services, as well as insurance, asset management and wealth management solutions. At the Morningstar Fund Awards held in Cape Town this week, Nedgroup Investments was awarded the key award of the evening, namely the Best Fund House, Larger Fund Range. New home-buying kit and HeyNed virtual personal assistant makes the Nedbank MoneyApp about much more than banking. South African Airways (SAA) Voyager and Nedbank today launched a first in the world – a cheque card which guarantees users to earn air miles per transactional swipe. The Nedbank Private Wealth App has been ranked second overall in the 2018 Mobile Apps for Wealth Management benchmarking report. While the vast majority of South Africans are feeling the financial pressures of challenging economic times, there’s one group of people who are typically hit very hard by money difficulties – students. As part of its ongoing commitment to providing financial and banking solutions that help all South Africans live their best lives, Nedbank has created a unique offering that’s specifically aimed at helping SA students manage their money and maximise their lifestyles. It is called Unlocked.ME. Unlocked.ME offers students a bank account with zero monthly maintenance fees – a first for students in South Africa. If the student doesn’t withdraw cash and only uses their card to buy items, they can bank for free. The account can be opened in less than 5 minutes from the Nedbank MoneyApp, with no paperwork and no signature required. Chironga continues, “in addition, we are passionate about helping students unlock their full career potential. We provide access to personalised, digital career advice based on the student’s matric results; and they can search up to 500 jobs online from a job portal specially designed for them. In short, we want to help students unlock their money, their lifestyle, AND their full potential”. 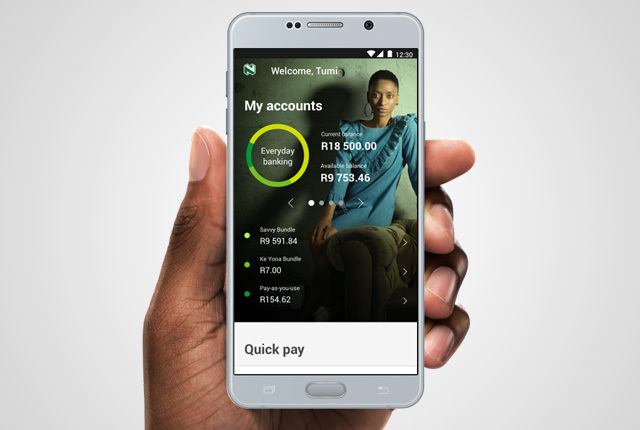 Nedbank’s new free mobile bank account, that lets you sign up in seconds, attracts 50 000 users in less than eight weeks. https://www.nedbank.co.za/content/nedbank/desktop/gt/en/personal.html Nedbank Press Office. © Copyright 2019. All rights reserved.